They say when God gives you another chance, do not repeat old mistakes. But it seems celebrated NTV journalist Denis Okari does not understand this phrase or he just decided to ignore it. I am referring to his latest move to marry a woman from the Kamba community, the same community his ex Betty Kyallo hails from. I have several friends from Ukambani and am not against the community in any way. But recent high profile marriage breakups involving women from the community has made me fear them like plaque and so should any other man. Lilian Muli, also a news anchor and from the same community shocked the world when she filed to divorce her husband of seven years. I am not saying that men shouldn’t take blame in these cases but our African values teach us about kuvumiliana. Anyway, that is a story for another day. Back to our story on Denis Okari, sources have it that he tied the knot at a secret traditional wedding held in Ukambani, another red light. The father of one has been dating his new wife for a while now, though he kept it on the low to avoid another bad omen after what happened between him and Betty. The red and white themed traditional wedding was held on October 27. The source also revealed that the wedding was attended by his close friends in the media who were strictly advised not to share any photos on social media. Dennis married Betty Kyallo in October 2015, but the couple split after just six months, they were blessed with a baby girl. It later emerged that popular governor had an affair running with Betty and was rumored to have even co-funded their Honeymoon. Dennis was devastated and took it slow, accepted Jesus as his personal Saviour and even briefly worked for BBC in London before he returned home. Meanwhile Betty is still slaying but has was quoted by media that she was now ready to settle , looks like she has also healed and ready to move on. Betty has custody of their beautiful daughter who from Instagram postings is an Okari true copy. 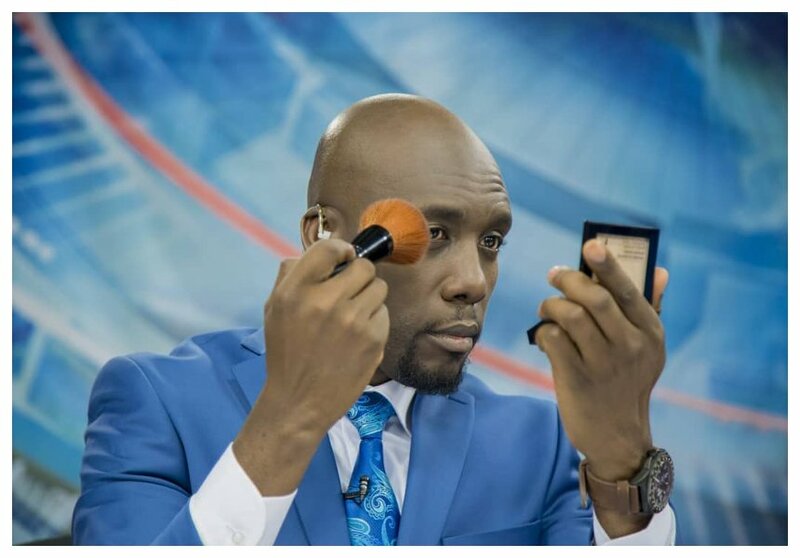 Things seem to be working out for Okari in 2018, he recently got a prime slot to anchor news at NTV, the 2nd largest TV station in the country, his investigative pieces are as popular as those of Jicho Pevu and he is also listed as a preacher in a fast growing church. Well, we wish Dennis the best in life, a happy marriage and more blessing. Betty also has a chance to pick the pieces and match on to her dream life. Do you think Denis Okari’s marriage will last this time?